Who live in wee houses in Faerie Glen? Who dance with the fairies from dusk till dawn. 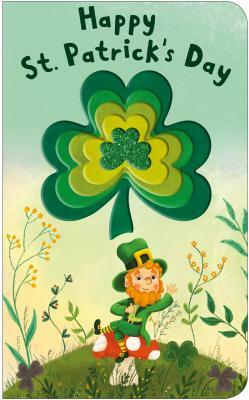 Happy St. Patrick's Day is a child's introduction to the faerie folk of Irish legend, with sweet illustrations, fun rhymes, and shiny foil shamrocks cut through every scene. Learn all about the mysterious leprechauns—what they wear, the work they do, their quirky behavior, and their pots of gold! And find out what happens if you find one . . . it will be your luckiest day ever!